This Thunder Craft inboard/outboard runabout has a fiberglass hull, is 16.5 feet long and 80 inches wide at the widest point. The boat weighs approximately pounds with an empty fuel tank and without any gear or passengers. 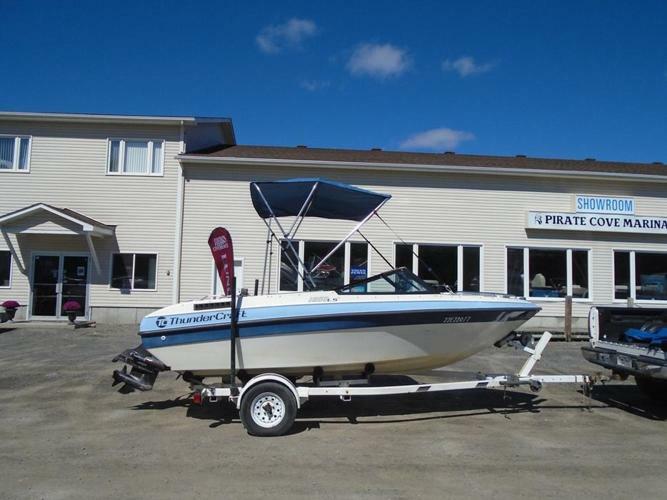 A great clean little package that seats six and comes with an aftermarket Bimini top and a vinyl snap cover.